For 50 years, URC has sought to combine the idealism of academic research with the pragmatism necessary in the real world. URC took its name from the founding partners, university professors who brought together talented people from the academic and scientific communities to address challenges of the 1960s and 1970s such as Head Start, hospital modernization, alcohol and drug abuse, and model cities. In 1968, URC established a non-profit affiliate, the Center for Human Services (CHS), to link more directly with community services in the US. The late 1970s and the 1980s witnessed rapid growth: URC excelled in job competencies training and job analysis for early childhood educators, hospital personnel, drug abuse workers, criminal justice staff, and the military. URC specialized in training, technical assistance, and instructional design, successfully operating projects in substance abuse treatment, criminal justice, child support enforcement, community rehabilitation training, reducing school violence, and family planning. This was also a period of expansion into international work in the Philippines, Egypt, Colombia, and Tunisia through contracts with the United Nations and other organizations. In 1981, with the Primary Health Care Operations Research Project (PRICOR), URC began working internationally in public health and soon became the lead organization for primary health care operations research with the US Agency for International Development (USAID). For nearly 20 years, URC provided global leadership for health care quality assurance in USAID-supported programs through the Quality Assurance Project (QAP) I, II, and III. QAP provided technical assistance and conducted operations research on health care quality improvement. This work helped to raise awareness in countries and internationally that quality improvement (QI) is an essential component of health system strengthening and that quality standards and QI capacity development are vital to the development of health care systems in even the most resource-constrained countries. As the new millennium approached, URC added instructional technology to its portfolio, with projects for the US Army, Social Security Administration, US Navy, Office of Personnel Management, Federal Aviation Administration, and Goddard Space Flight Center. 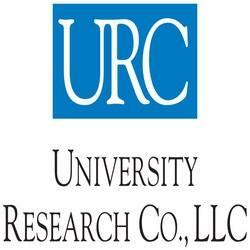 At that time, URC also launched major health communications, social marketing, and materials development programs, setting the stage for ground-breaking work to reduce cardiovascular and pulmonary disease, high blood pressure, cholesterol, asthma, obesity and nutrition, smoking, substance abuse, eye health, and teen pregnancy. In 2000, URC built expertise in health communications and social marketing, developing and implementing media campaigns to support prevention of underage drinking, asthma, and heart disease; training journalist on health reporting; as well as providing organizational assessments and strategic planning support for the DC Department of Health and others throughout the East Coast. In 2015, URC’s expertise centers on maternal, newborn, and child health; HIV/AIDS; tuberculosis; malaria; reproductive health and family planning; food and nutrition; and vulnerable children and families. It approaches the challenges rising from these health areas through quality improvement, health systems strengthening, health communication and behavior change, and research and evaluation.